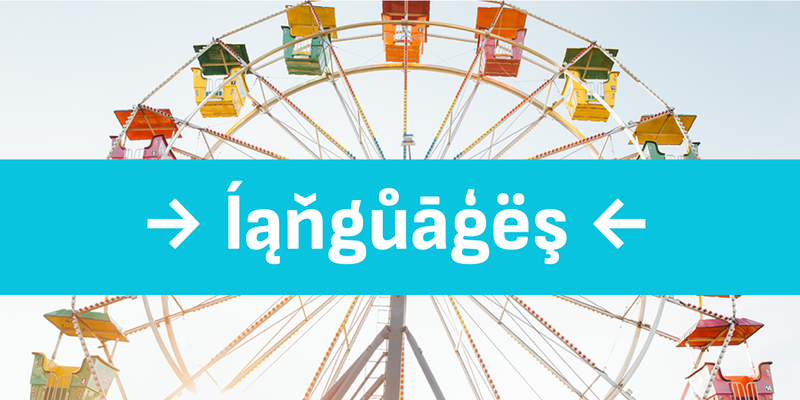 Attractive type system comes in 104 styles and 4 widths with extended coverage of the Latin-, Greek- and Cyrillic Script. The design origins of Attractive are in early-20th centuries technical style aesthetics, but they are combined with nice humanistic characters and details. We also made the typeface a little soft with small round corners, that way it reminds print work with hot metal typesetting and its much more legible on screen. The shapes are optically corrected, yet retain an uncut charm. The Regular and Medium styles are an excellent choose for small text sizes and and the width expansion makes it a great tool for books and magazines, branding, posters, as well as web and screen design. Attractive type system is equipped for complex, professional typography with Open Type Features including — localized forms, standard ligatures, numbers in circles, subscripts, superscripts, numerators, denominators, arrows, currency symbols and fractions. 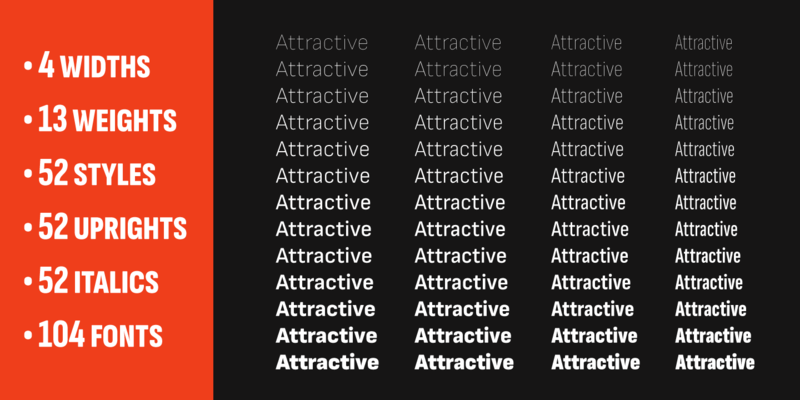 Attractive is carefully hinted and optimized for screens. The fonts are a perfect choice for digital use. 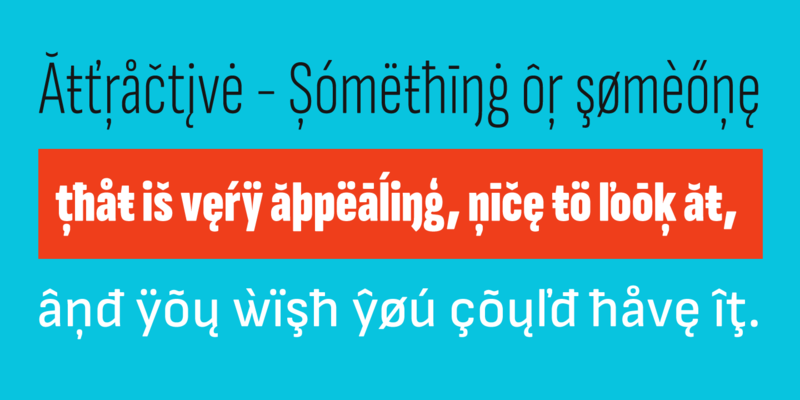 To continue with the lettersoup tradition , two styles of Attractive are available free of charge. Njoy and be attractive!